If you haven’t ventured over to Old Town in Sacramento, you need to take a trip over there. What a neat slice of history we have right on our doorstep. As my mother was visiting, I decided to take an excursion and take advantage of the cooler weather. What a wonderful day it was. Old Town is exactly what it sounds like; a perfectly preserved town that was built in the late 1800’s. It has cute little shops and many restaurants. 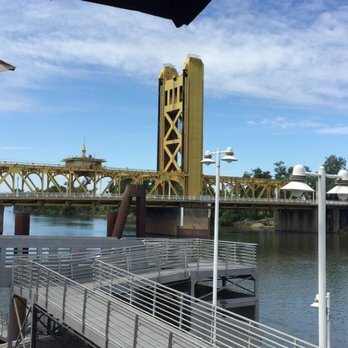 It sits on the banks of the Sacramento River. It is so charming and picturesque. With the many food choices it was really difficult to pick a place to eat. 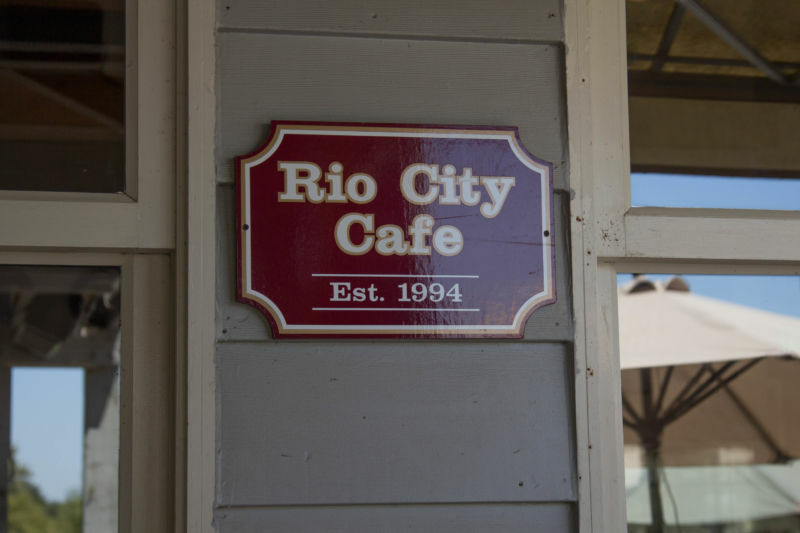 We ended up at the Rio City Cafe. 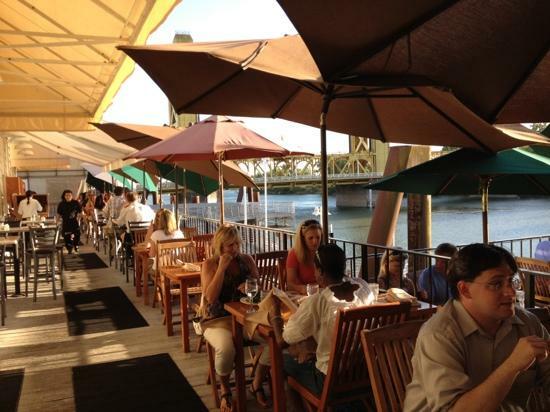 It is built right on the edge of the river, so you can sit out on the patio and enjoy the gorgeous views. 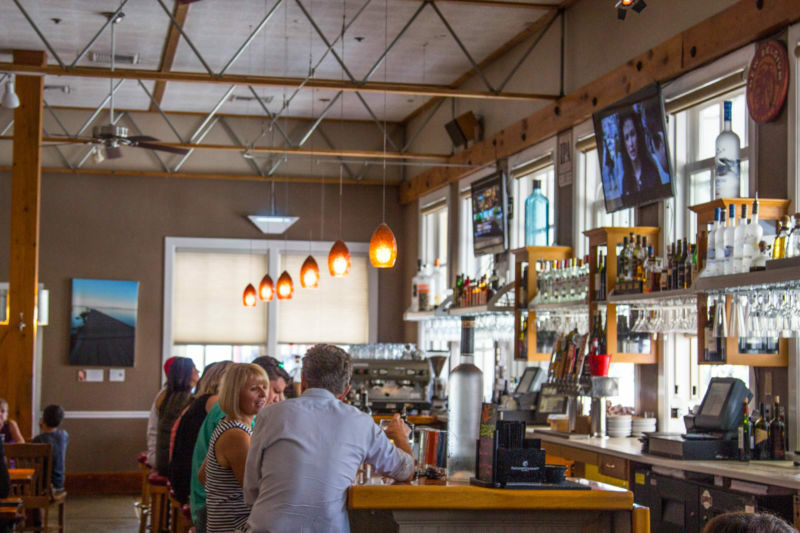 It displays its many awards for food excellence all over the restaurant. I thought it was the perfect place to write about. The interior of the restaurant is appealing; it is a bit dark and loud inside, but the space is attractively decorated. The kitchen is open to the restaurant and you can see as they prepare your food. We were seated immediately, without a reservation as it was midweek and before the start of the lunch rush. I would make a reservation if you plan on going on a weekend though; it seems to be a very popular spot. The outdoor deck/patio area is very nice; it has lovely views of the river. I was hoping that sitting outside would dampen down the noise, but we were seated next to a big party and they were really loud; just our bad luck. We started out with one of their house specialties. 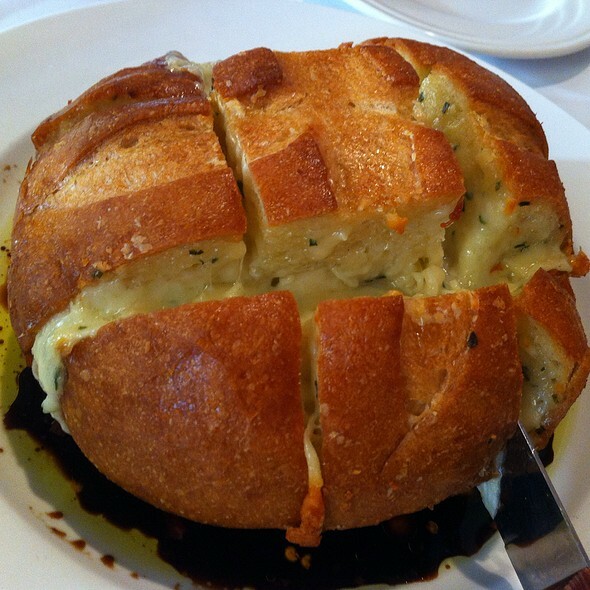 It’s a cheese-stuffed loaf grilled till the cheese is melted and served on a bed of balsamic vinegar. It is delicious if you like strong balsamic, but for the $18 price tag I felt it was too expensive for what it is. I asked her what she would recommend and she suggested the house burger. Always loving burgers, I agreed and ordered it with sweet potato fries as they were offering rosemary fries and I don’t care for that herb. My dining companions ordered a grilled veggie sandwich on focaccia bread and the special of the day which was a Napa salad. When our orders came, I was disappointed to receive rosemary fries on my plate. There was so much rosemary on the fries, it overwhelmed the entire dish with the smell. The waitress quickly realized the mistake and brought me sweet potato fries on the side. It didn’t help with the smell though. The burger was cooked correctly, but as I bit into it, I realized they used rosemary in the burger too! It wasn’t stated on the menu, or I would have never ordered it. I tried to get past it, but couldn’t. The waitress was indeed gracious noticing my distress and swapped my entire plate for a burger without the rosemary. The sweet potato fries were delicious. I munched on them happily as my new burger was being made. 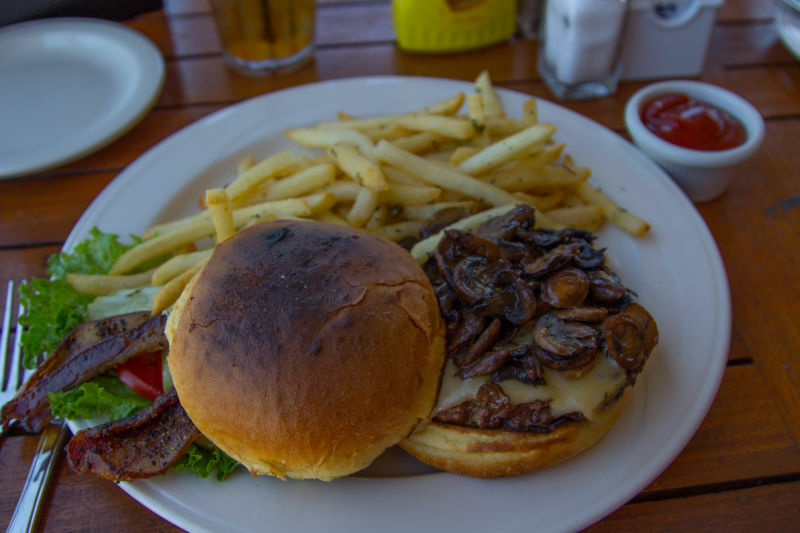 Once the burger was replaced it was delicious; perfectly cooked and lots of flavor. 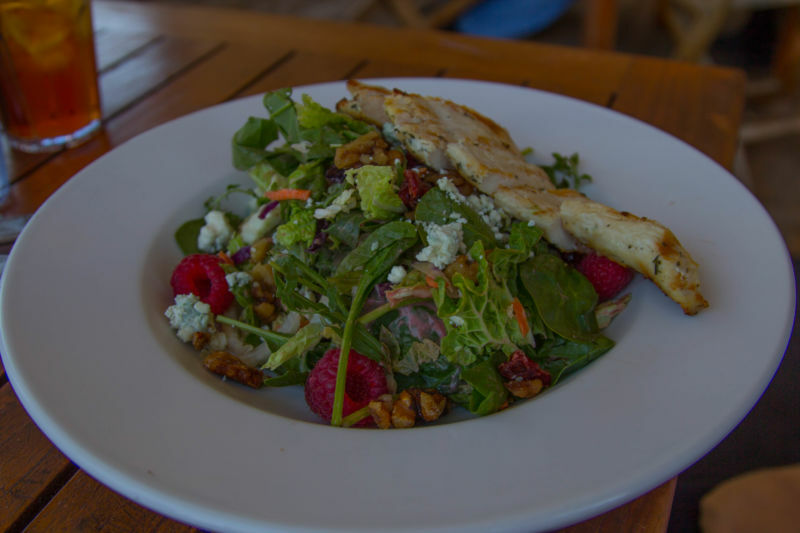 My mother wasn’t all that enamored with her salad. She loved the dressing, but it seemed to be a combination of a green salad and coleslaw together on the plate. The cabbage gave a weird texture and flavor to the green salad. Her comment was that she wouldn’t bother eating it again. I did have a bite and I have to agree, it wasn’t anything I would eat twice. The chicken was overcooked (sigh). 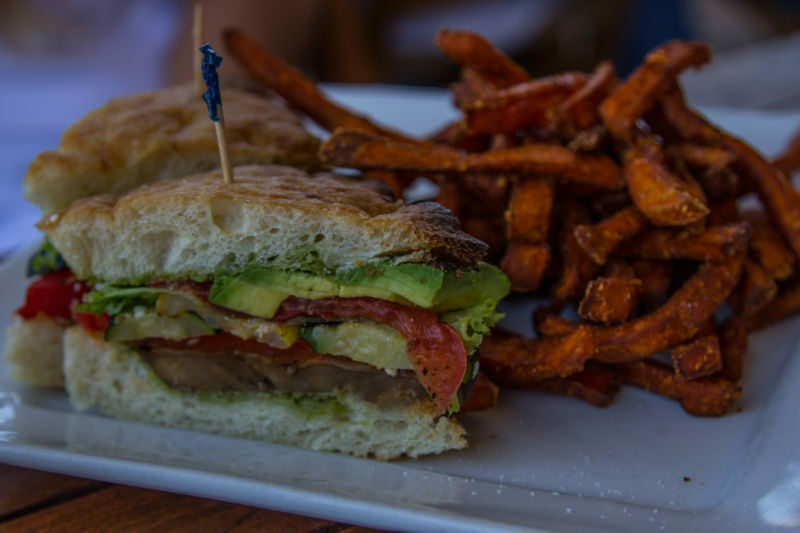 Our other guest had the grilled veggie sandwich. They had very few vegetarian options on the menu so she felt stuck with her lack of choice. We were also told that the chef’s won’t go off menu and make stuff that is vegetarian. I tasted her sandwich and it was lacking in flavor. It needed a dressing or condiment on the sandwich as it was dry. It looked as though there was pesto on the sandwich, but you couldn’t taste it at all. I had to wonder how it was that they won all of these awards for great food. Yes, the restaurant was nice, and the service was pretty good, but the food was nothing special. It was also on the expensive side for the quality of the food. Giving credit where credit is due, the waitress removed my burger from the bill as I was not happy with my first burger. All in all our thoughts were that the place is somewhere to go for the view rather than the food. No one was impressed. As the town is so full of nice looking restaurants, I will more than likely be trying somewhere else next time I visit.